Zander anglers have got good results lately. 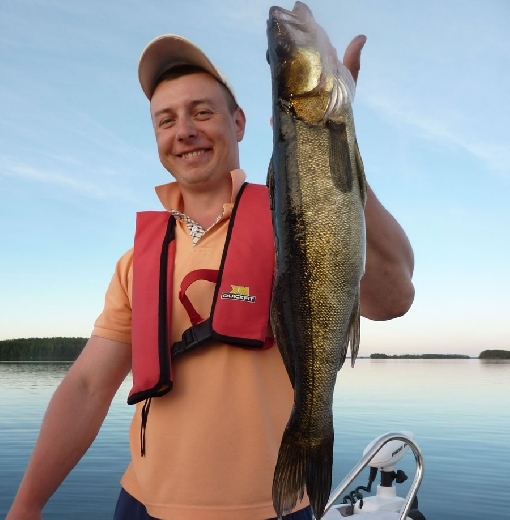 Both jigging and trolling have been successful on the lakes of Southern and Central Finland. Early summer was difficult time for anglers who were trying their luck by trolling. Zander did not bite well from the surface waters that were rather cold because of low air temperature of June and July. For instance in many trolling competitions nobody brought big zander catches to shore. During last weeks temperature of surface water has rised to 20 degrees centigrate. Thanks to warmer weather zander has started to bite wobblers of trollers eagerly. Mr. Mikko Ollila, professional fishing guide of Vaparetket, mentiones, that zander season has been pretty good and much better than last summer, which was extremely warm. On Lake Rautavesi in Sastamala, where Ollila mainly operates, medium size of zander has been bigger than last year and fishing has been good during the whole summer. Some of his guests have been happy to tame sizeable zander and asp with rod and line. Stock of smelt, which is an important food for game species, is now strong and jigging for perch has been great fun during many days. 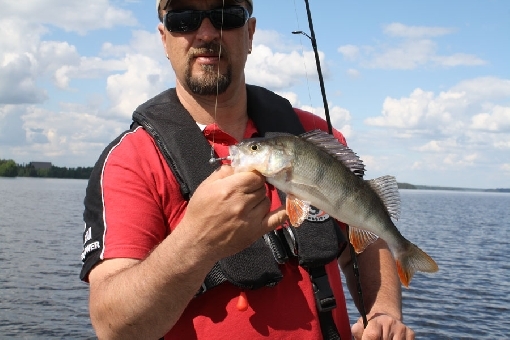 There are plenty of nice and hungry perch on Lake Rautavesi. Photo on the top: Jari Käyhkö.